Australian rapper Iggy Azalea is the latest puppet thrust into the media mind control spotlight. Azalea can often be spotted displaying the ever so present Illuminati symbolism (above). 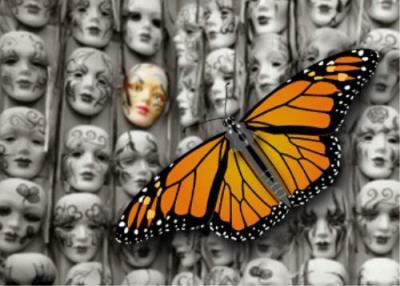 As with many female artist / actresses she is often pictured with Monarch Butterflies, symbolizing Monarch Programming. If you are unfamiliar, Monarch programming is a technique developed by the government to mind control people. For a read on the wild mental side simply Google Monarch programming or read our article on MK Ultra a related government program.